When the beloved Long Island City graffiti mecca 5Pointz was whitewashed in November as the first step in the process of replacing it with a luxury apartment building, the artist community that had taken up residence there was devastated. With the work of over 1,500 artists made invisible with white paint and fated to be razed by bulldozers, art enthusiasts, 7 Train onlookers, and tourists alike mourned it as a one of New York’s great public museums. 5Pointz lives on, however, at the Gold Coast Arts Center in Great Neck, NY, where an exhibition of graffiti art called “Wall Works: The Art of Graffiti” is on display until this Sunday, March 2nd. It includes the work of5Pointz artists Meres One, Zimad, Shiro, See Tf, and ADC Member Kid Lew, with whom we spoke about how the graffiti community is coping and what happens when you take street art off the street. An artist talk is set to coincide with the closing reception of “Wall Works” on March 2nd. Team members say it will be an open forum for attendees to ask questions to the panel of artists in the show. You might also want to bring a bottle of something to pour one out for 5Pointz. ADC: What brought you to 5Pointz? Steve ‘Kid’ Lew: I’ve been creating art since childhood. Specifically though, I started writing in ’85. However, I had stepped away from doing art through the 90’s (to concentrate on music) and re-emerged around 2005 with a renewed interest to do something fresh. 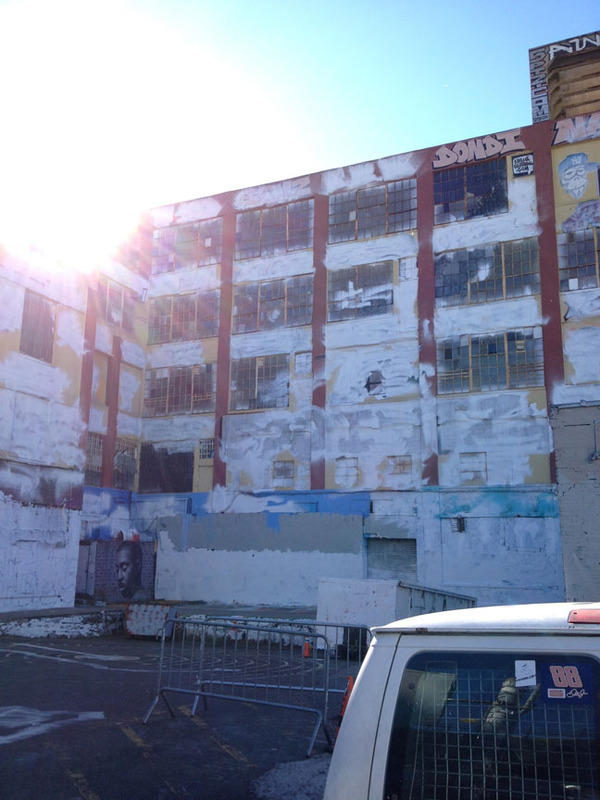 I knew about the 5Pointz building and had been going out there to checkout the ever-changing pieces. When I decided to start painting walls again, I approached Meres and started getting spaces to paint. Over time, I just built a rapport with Meres and other team members…and eventually joined the team last season. ADC: How did the environment there foster your growth as an artist? Steve: I think in general, 5Pointz is what you make of it. For me, it was more about meeting people and the overall experience. While the walls always had something great to checkout, there were other weekly events (like Saturday nights with DJ Marley Marl) that added to the experience. My artwork has always been about my experiences more then trying to emulate someone or a technique. Having the opportunity to meet artists and travelers from around the world gave me a chance to share that experience and my artwork. ADC: How is the community of artists supporting one another in the aftermath of the whitewashing? Steve: I can’t speak for everyone, but it’s hard when the place that brought everyone together has been taken away and we know that many great works of art cannot be replaced and are gone forever. It’s almost like having your home taken away and told you have nowhere to go. As a group, some of the artists have put the group show together at The Great Neck Gold Coast Art Center. ADC: Some people in the art community have brought up the idea that the destruction of 5Pointz might ultimately be a calling to graffiti and street artists to acknowledge the fringe or underground nature of their work. Do you think there’s anything to that notion? 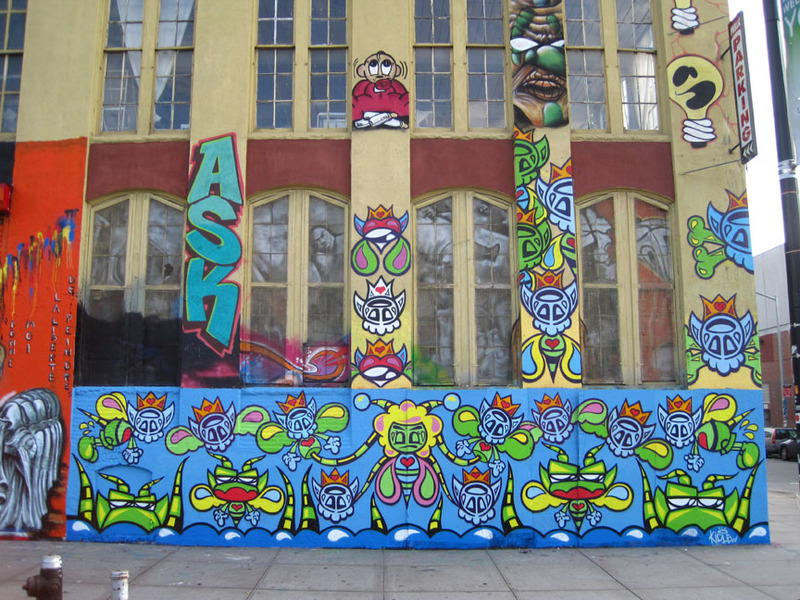 Steve: 5Pointz shows that graffiti art isn’t fringe or underground, it’s mainstream. 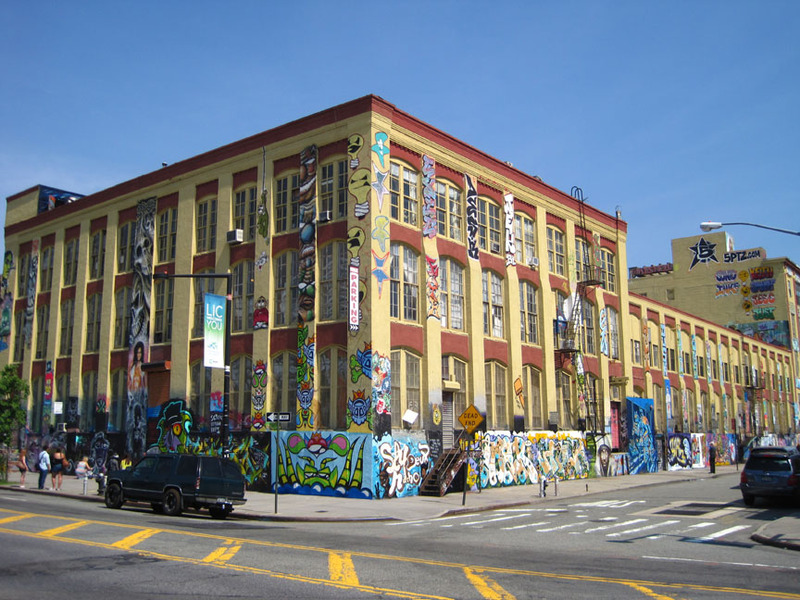 5Pointz was a major tourist attraction, feature films were made there, and artists of many different genres came there to create their work from all around the world. Lasting impressions were made on both artists and viewers that are no different from those created at Manhattan’s museums. ADC: But do you think there’s an inherent dissonance in having what started as a subcultural practice become an accepted art form? Steve: I think what’s ultimately happening is what you find in any subcultural practice.Take Hip Hop, Rap, Punk or Alternative music for example: All have become part of the cultural mainstream. The art at 5Pointz has done the same, gaining prestige, patrons and critical acclaim from the around the world. 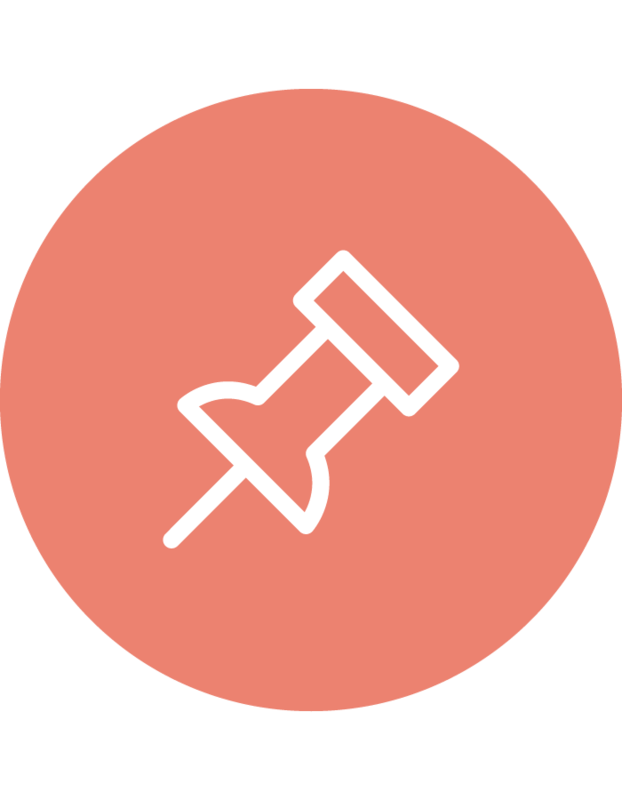 It has become a prominent part of the mainstream art scene. Adding to that idea, Graffiti is one of the key elements of Hip Hop, so it was just a matter of time before the mainstream accepted its form. A prime example is the use of the 5Pointz building in the movie “Now You See Me.” Individuals from all over the world come to New York in order to see the art on display at 5Pointz, and many more see it via photographs and video. ADC: How did the show at Gold Coast Arts Center come about? What has the experience been like? Steve: The show came together through one of the gallery directors and Marie from 5Pointz. They chose a core group of team members to display artwork within a gallery type setting. I think the experience has been very nice. It’s in an art center, so you still get the kind of audience that came through 5Pointz: in general, art enthusiasts of all ages. 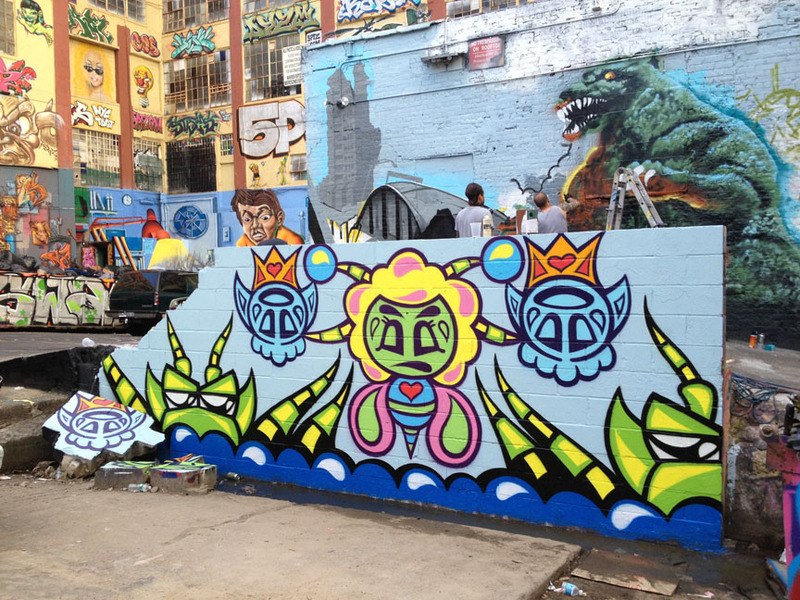 ADC: What is your fondest 5Pointz memory? Steve: So many memories…but I think being made a team member brought my experience to a whole new level. I started off painting there like anyone else and was there as an Ambassador to try and save the building at the very end.